“My name is Steph, and I’m a Diet Coke addict.” That’s how I would introduce myself, if I had to do it in 10 words. 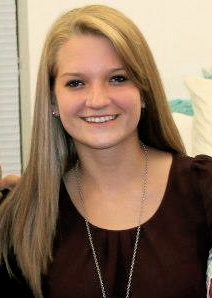 But I don’t, so I’ll expand that a little: My name is Steph, and I’m a current second year from NoVa majoring in Computer Engineering and Computer Science, which means I’m a minority as a blonde girl in the E-school. Last year I lived in Dunglison, one of the suite style dorms right across from the stadium that did not have a kitchen, but this year I’m living with three other engineers in Lambeth. 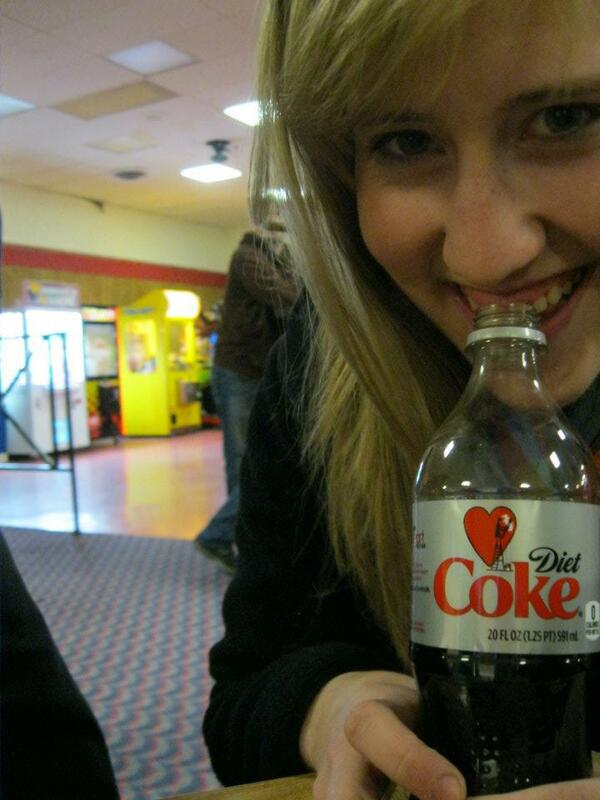 Most importantly, not only am I addicted to Diet Coke (it’s a bad day if I don’t have at least 2), but I love to eat. At the beginning of last year when I was picking out my meal plan, I picked the standard 15 meals a week with $200 Plus, but I quickly found that I got tired of dining hall food and Crossroads snacks. As an engineer, I was up late a lot doing problem sets, whether that was in the library, or (more likely) in the comfort of my own bed. I was always craving sweet things while studying, but there’s no good place to bake in first year dorms unless you like food made in Easy Bake ovens or have a friend who will let you into Balz-Dobie. My schedule didn’t line up with many of my friends’, and I didn’t own an easy bake oven, so I was out of luck, and had to make do with Crossroads snacks and the occasional Jimmy John’s sandwich that always felt like it was delivered before I even hung up the phone (Really, I have no idea how they deliver everything that fast). During Fall Break, actually, many of my friends stayed here because we all had tests the day we got back, so there were countless cookies ordered…and thought we stayed here to study, we all probably would have gotten to sleep a lot more if we weren’t so distracted by the games they have on their website that give you discounts on your next order. 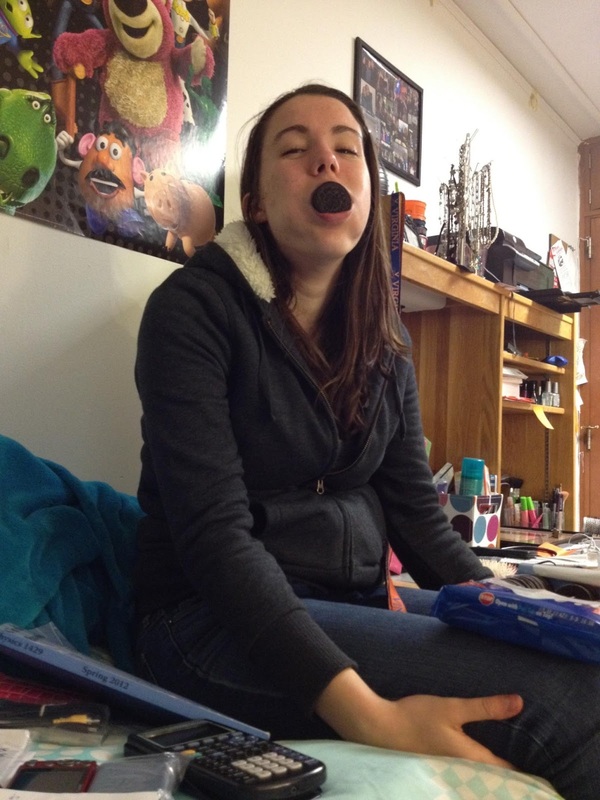 And with a roommate who likes to see how many cookies she can fit in her mouth, well, let’s just say we like saving money on cookies. Hey guys!! My name is Cat, yes like an actual Cat, and unlike some of my fellow bloggers, I am a first-year at UVA. I’m from just outside of DC (also known as NoVa) and I’m considering a major in Neuroscience, but that might just be because it sounds impressive…although I do love science. 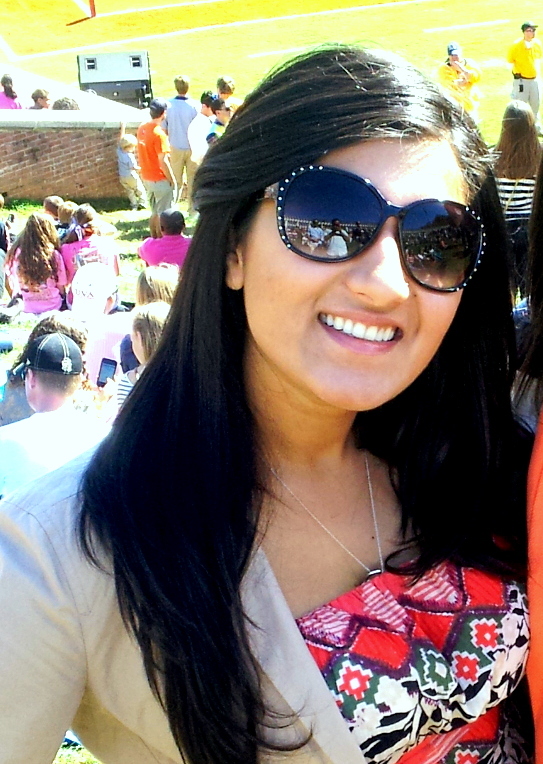 I can’t say UVA was my first choice throughout high school, but after taking a tour my junior year and eating lunch on the always-bustling Corner, I adored it. 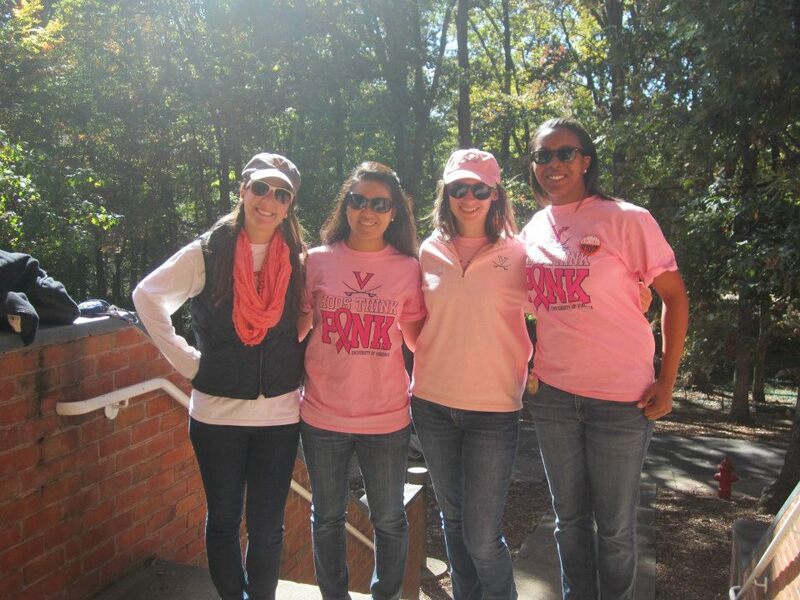 After I was accepted, I knew I had to be a Wahoo. I’ve kept myself busy, probably too busy, these past six weeks by joining the Ambassadors, tutoring at a local elementary school, trying out for the ultimate Frisbee club and joining the photography club and Pancakes for Parkinson’s among other things; I’m still overwhelmed by the multitude of activities available to me. I’d like to say I’m a genius on all things UVA, but the truth is, I’m still trying to figure out everything for myself. 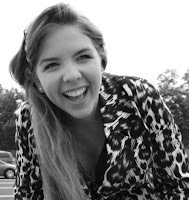 I hope this blog can provide you with humorous and entertaining stories of my struggles and accomplishments as a first-year, along with advice on the admissions process and any other questions you’d like answered. The most comforting thing to know is that I was just like you a year ago and know exactly how intimidating this process can be; but I can tell you right now its led to quite an adventure so embrace it! 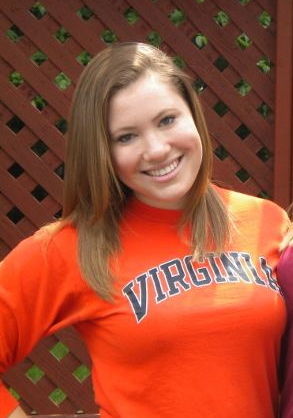 My name is Carly and I am a second-year in the College of Arts & Sciences here at The University of Virginia! I'm originally from the suburbs of Richmond, Virginia and while I love RVA, Charlottesville has quickly become one of my favorite places to be! As the classic "What's your major?" question continues to invade my daily life, I like to think I'm on track to figuring it out. Right now I'm loving my politics (I love to argue) and media studies classes (we watched an episode of the Sopranos last week!) and hope to continue pursuing both of those fields. I'm also pondering the far off possibilities of either UVA's Batten Public Policy masters program or law school, but I think I'll try to tackle this semester first! 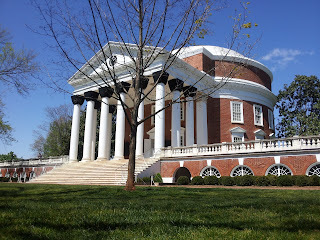 Outside the classroom, I love giving admissions and historical tours of grounds as a member of the University Guide Service and answering questions at Peabody with the Virginia Ambassadors. I also work at the Rotunda, serve on the Student Council Public Service Committee, and tutor rambunctious and hilarious 7th graders at a local middle school through Madison House. Some of my other favorite pastimes include obsessing over UVA sports, exploring the downtown mall, and spending entirely too much money at Bodo's Bagels. Anyone who knows me also knows how much I love UVA (seriously, one of my first-year hallmates used to call me 'the UVA Queen' because I never stop talking about it). 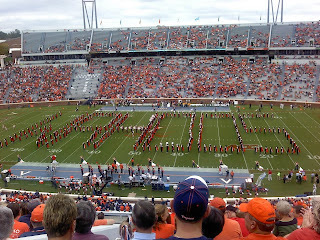 I inherited a love of UVA from my Dad, an alum, very early on in life and completely embraced it. 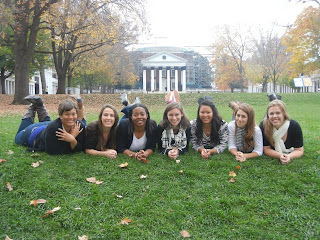 I truly feel like I'm living the dream and can't wait to share my UVA experiences with you all! What's so great about being a Wahoo? 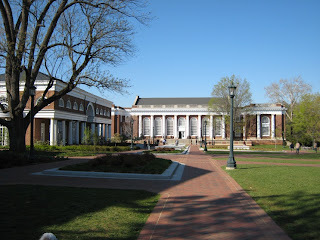 Today I am beginning my blogging journey for the University of Virginia. 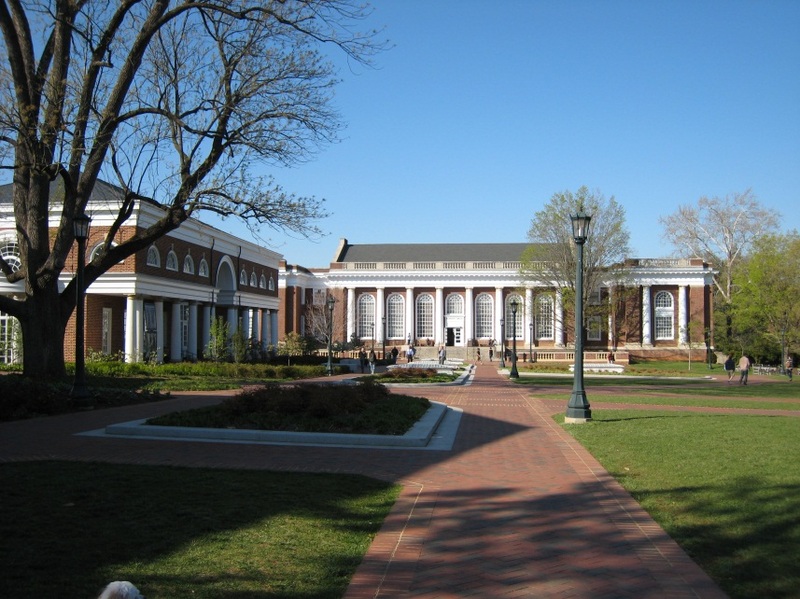 I am very excited to write this blog and tell you about UVA’s great qualities, but this isn’t just some blog to tell you that UVA is the ONLY school for you. 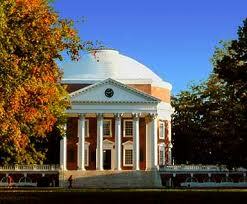 Yes, UVA may be the school for you, but I did not decide to attend UVA until May the 1st, aka National Decision Day. I had narrowed my decision down to two schools and weighed my options, but I still could not choose. I flipped coins, picked a college name out of a hat, and even took votes from my friends based on where they thought I should go. It was senior year and I was the last one in my senior class to make the decision on where I would go to school. Ultimately, (after all the coin flipping and voting) I knew that I had to make a decision and stick with it. I originally became interested in the University of Virginia when I saw someone wearing a UVA sweatshirt; I decided I liked the school colors (that was back in middle school). 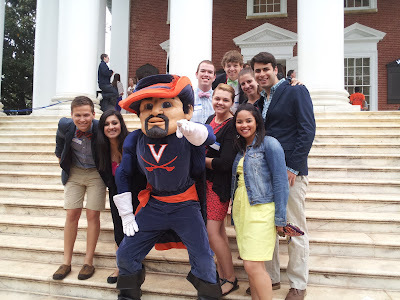 In eighth grade I had decided I would attend UVA based simply on their school colors, but I knew nothing about what majors they offered, what grades I needed, or what the term “WAHOO” meant. 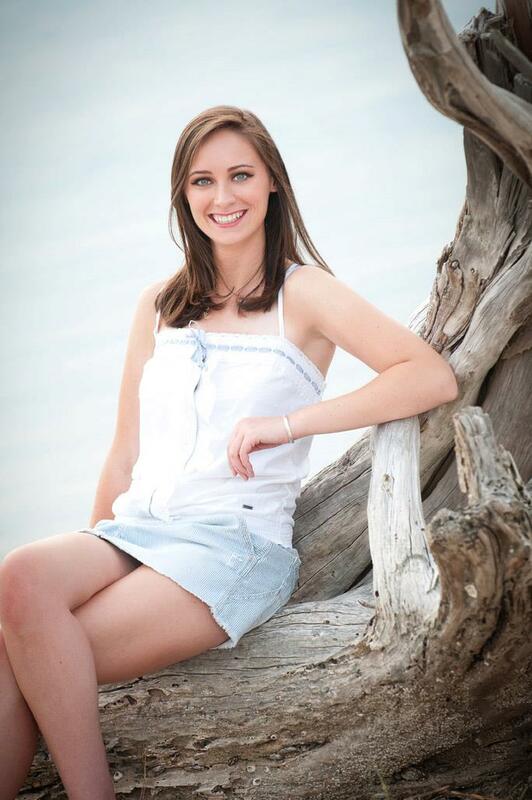 Throughout high school I played Varsity Field Hockey and Lacrosse, volunteered at a local children’s hospital, actively participated in school clubs, and tried to squeeze in some time for homework. All my involvement in high school played a huge part in what university I chose. It came down to the decision and I realized that UVA offered everything I could want in a school: a beautiful campus, challenging classes, hundreds of clubs, a variety of majors, a football team I couldn’t wait to cheer on, and delicious food on the corner (that’s definitely a plus). Now that you know what I when through in choosing a college I feel I should tell you what I have been up to since arriving on Grounds in August. First of all my name is Lauren Russell. I am a first-year in the College of Arts and Sciences and plan to major in Biology or Psychology with a minor in Spanish. I am hoping to attend Medical School, so I am also fulfilling Pre-Med requisites as well. 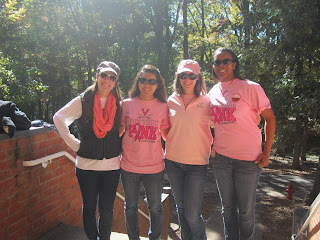 My desire to be involved in extracurricular activities continued so I joined clubs such as Sigma Alpha Lambda (a public service honor society), Physicians for Peace, Alpha Epsilon Delta (a pre-med honor society), and Pancakes for Parkinson’s. I have also just agreed to volunteer for the “early bird” shift (5:00-8:30 AM) at the UVA Medical Center (I’ll have to keep you updated about how that goes…) and I am planning to venture to Honduras for Spring Break with the Global Medical and Dental Brigades. Although I may sound busy with school or clubs, my favorite aspect of UVA thus far is that I have made amazing new friends. 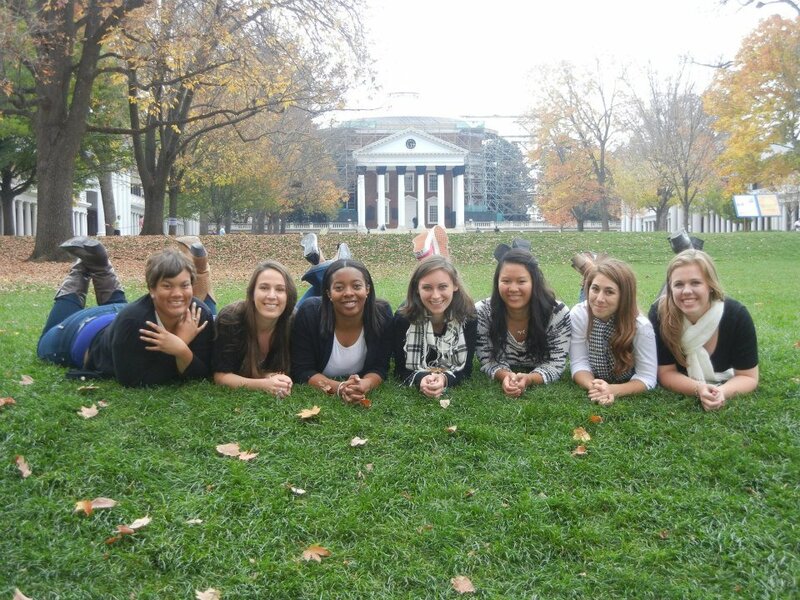 I have become extremely close with many students here and now call UVA and Charlottesville my home away from home. 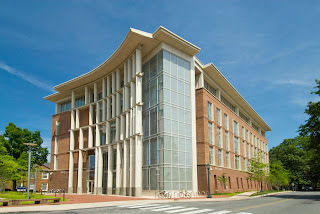 Please feel free to ask me any questions about Charlottesville, dorm life, or questions about the University in general. 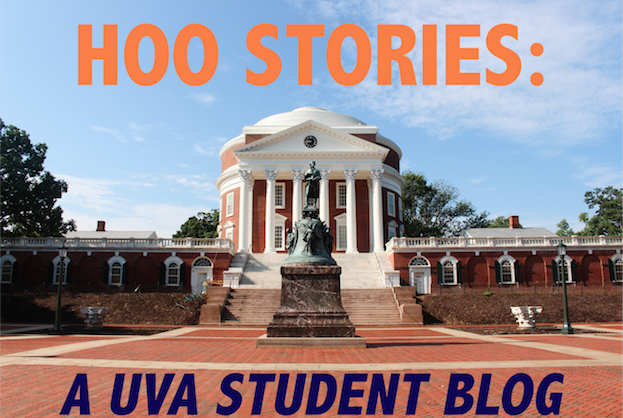 I hope through my blogs you can get to know what UVA is like and learn more about all it has to offer, but regardless of whether you choose UVA, I wish you the best of luck in the college application and decision process. Let me introduce myself, and the "college student intro" format you will hear and use for the next four years of College beginning at Orientation all the way through Graduation. (name)My name is Emily, (year and school) I'm a Second Year in the College of Arts & Sciences on the (intended track/major/minor) Pre-Med Track, planning on majoring in Biology and a humanity I love once I figure part that out. (hometown, explanation of where it actually is) I'm from Chesapeake, Virginia about 15 minutes from Norfolk's Navy Ships and 15 minutes from the Virginia Beach Oceanfront, so needless to say before my move to Charlottesville I was never far from water and definitely never saw any mountains. 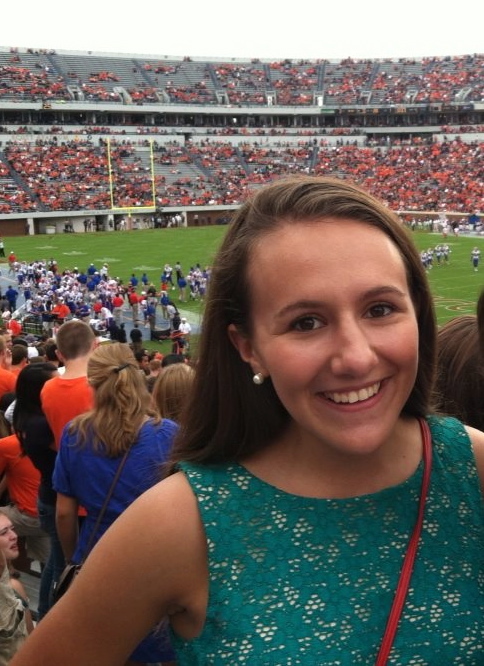 (activities) At UVA, I am a Resident Advisor in the McCormick "Old Dorms," a member of a Sorority within the PanHellenic Community on grounds, and active in Pre-Med clubs as well as other activities around grounds and at the UVA Hospital. 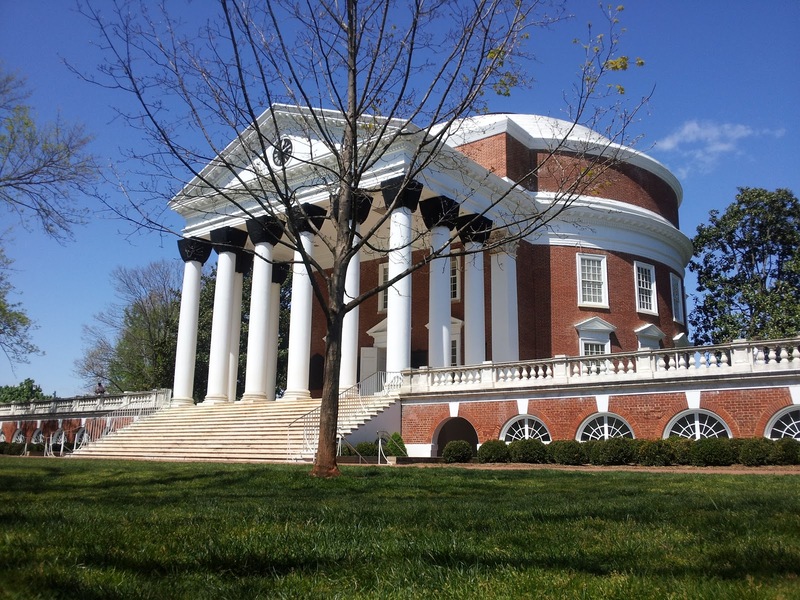 So, why choose UVA? What's so great about Virginia? What do all of those top rankings for campus beauty and academics really mean? What are the students really like? And, seriously, what is up with the Hogwartz lingo and all the pearls? The college decision process comes with an abundance of questions, as it should when choosing the place you will live and learn for the next four years of your life. Along with the other student bloggers, I will be answering the questions I know I had upon beginning the college decision process, as well as some questions I come across myself even now as a second year. 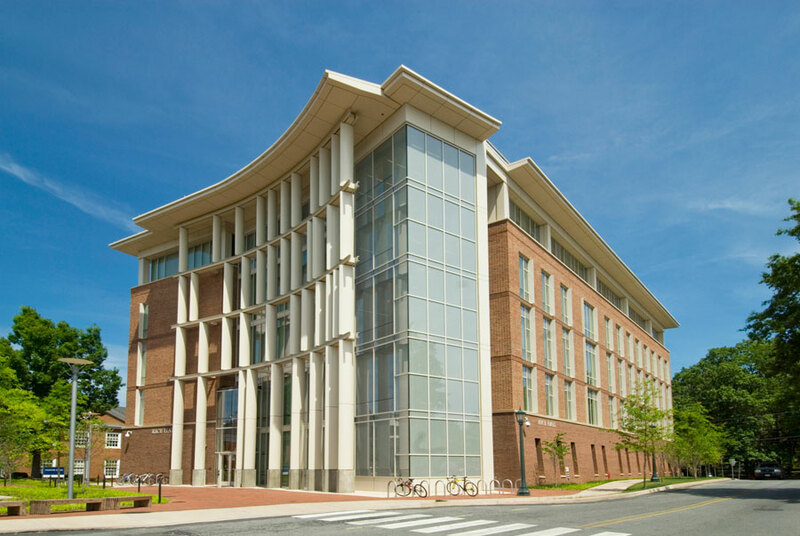 Look for my posts to especially answer questions about the Pre-Med track here at UVA, the real scoop on Greek Life, and closer looks at the traditions of our great school and the adventures that can be had both on and off grounds, beyond your typical admissions fact sheet info. Hey HOOS! 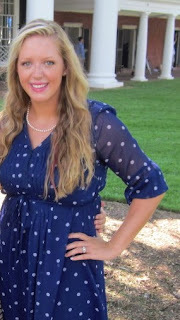 My name is Sarah Pate and I am a second-year here at the beautiful University of Virginia. I am from Fredericksburg, Virginia (which is about halfway between Richmond and D.C.). I am one of those kids who has virtually no idea what she wants to be doing for the rest of her life . . . for now, I am taking several business classes. I feel like I always knew that I was going to be a Cavalier. I feel completely at home here at UVa! 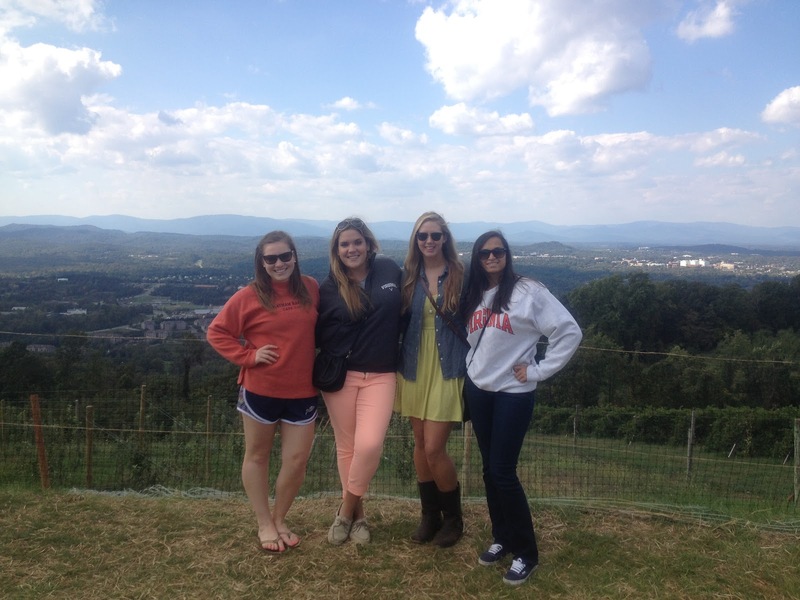 Charlottesville is so beautiful all the time! It is hard not to just stop and admire the architecture on your way to class. Just look at that! That is what I get to see everyday here! It is literally like living the dream. I love everything about this University. I have yet to take a class that I haven't liked. I have taken some very difficult classes (*cough*accounting*cough*) but I really feel like I am learning useful information, which is great (especially compared to a rather dry high school curriculum). There are so many things you can be involved in here! You will never be bored unless you choose to be. 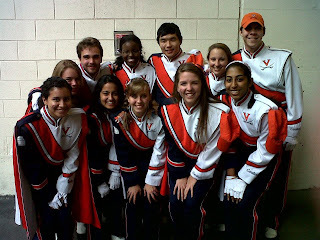 I love doing community service, helping with VA Ambassadors, and being in the Cavalier Marching Band. Being it the marching band is such an amazing experience! Just imagine--you march/run onto the field from the tunnels where you have been "hiding" from the crowd. Then, you look out and all you see is orange and blue. You start playing and before you know it, the football team is running through you, not even ten feet away! Then you see the animatronic Cavman destroying the other team's mascot on HOOvision (which is always an awesome way to get revved up for the game). Next thing you know, you are up in the stands playing the Good Old Song because our team just got a touchdown. There is no where else I would rather be on game-day than Scott Stadium with my orange and blue band uniform on. Hey, hey, hey, it's Fat Albert! Just kidding, let me introduce myself. My name is Ashley Patterson and I'm a second year at the University. I feel like now is the time where I tell you guys my major (undecided), where I'm from (NoVa- Northern Virginia, for those of you who aren't from Va), why I decided to come here (umm...), and what my favorite thing about UVa is (the trees on the lawn during fall). However, I'm not the most exciting person in the world (unless I've been in Club Clem until 2 a.m, and then my friends would say I am one of the most entertaining people to be around) so I would rather tell you about all the exciting thing that I get to do everyday here at UVa. From heading up to Carter's Mountain for apple picking, to Puppies and Pumpkins on The Lawn, to Lighting of the Lawn, UVa is full of events that unite the students and faulty and create a bond and family among thousands of unique individuals. My goal is to provide you guys with at least one event each week and give you something to look forward to within the next few years. Feel free to comment with questions or find out about events that might be going on when you're visiting. Now that I told you about these amazing events and activties that happen I want to take you to a place not to far from UVa, in Albermarle County, called Carter's Mountain Orchard. Almost as much a tradition as streaking the lawn, apple picking has become a favorite fall tradition of many University students. Just this past weekend my friends and I took a break from the stress of midterms and headed up to the orchard. The whole ride there my friend kept telling us about the "amazing views" that we should expect, but we were distracts by J. Biebs on the radio. However, as soon as we got to the top of the Carter's Mountain we stopped in our tracks, speechless. The view was unimaginable. When you go to school here it is easy to become blind to the beauty that surronds you, but heading up the mountain changed that. We stopped and took a few pictures and then headed into the trees. 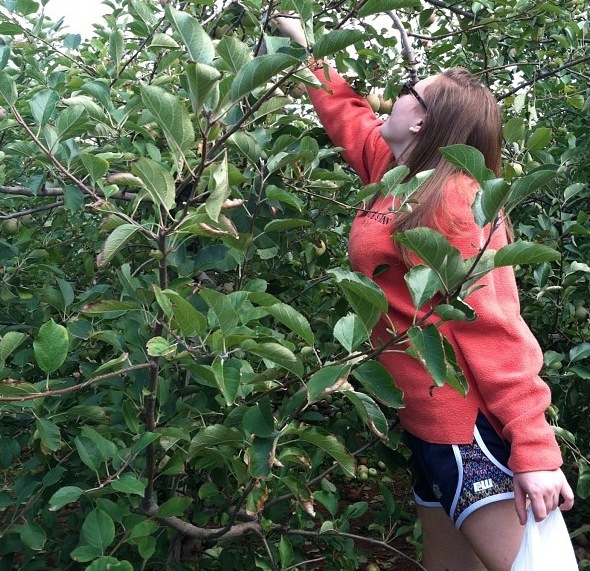 Now I don't know if any of you have been apple picking before, but it is a lot harder than it sounds. For some reason I was expecting to find apples the size of the ones at the grocery store but there were only baby apples. We searched and searched for the big ones, but we finally settled on the delicious selection of small fuji apples. Now here is a little secret about Carter's Mountain, most people don't go for apples (shh!) As we emerged from the orchard, we headed (more like casually jogged...okay, okay, we full on sprinted) to the food stand where we ordered apple cider, apple pie, and apple cider doughnuts. 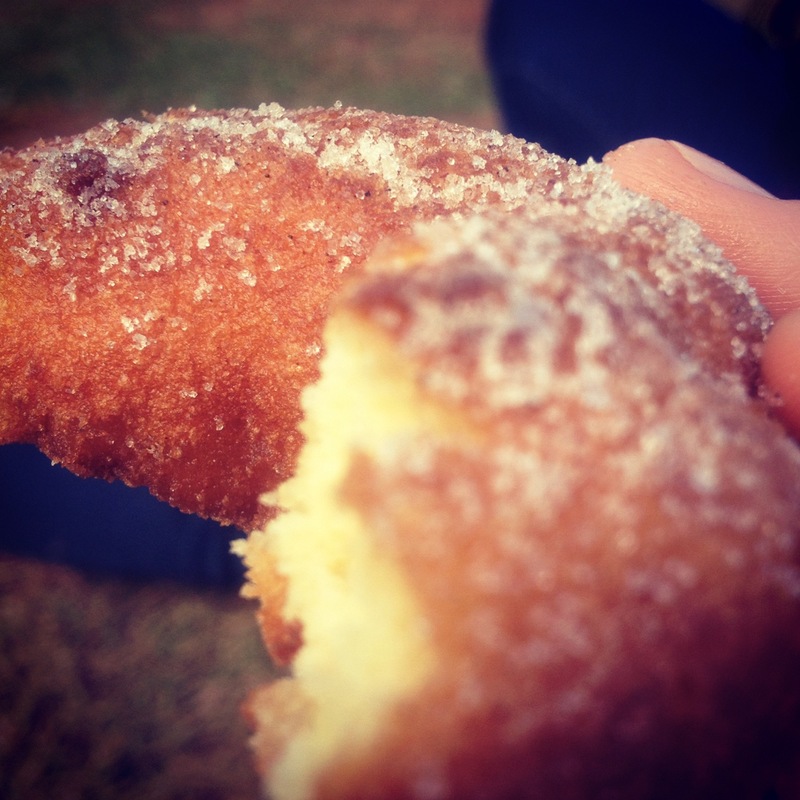 Let me say that again, APPLE CIDER DOUGHNUTS!! They are the most mouthwatering thing you'll ever taste, in fact, your mouth should be watering right now just thinking about them. These doughnuts only come around once a year so we enjoyed every bite knowing that next year we will be a year older and year closer to not being able to enjoy these moments of apples, doughnuts, and fall with our close friends.